So this is the design of the next poster. 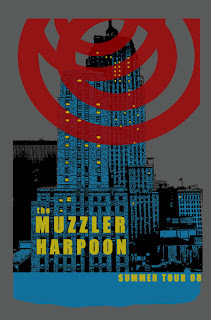 Harpoon and The Muzzler are going on a summer tour. They wanted something similar to the Neurosis poster or something metal. I can't really do metal too well. Here are the tour dates.